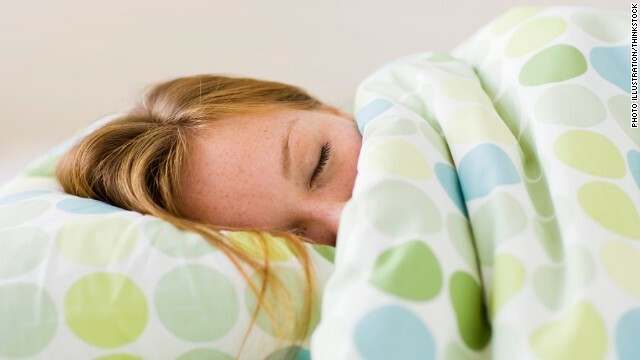 Northwestern University researchers are validating procrasti-nappers everywhere – they say a 90-minute nap can actually help in learning a new skill. At least when that skill is remembering a musical tune. Participants in the study, published June 26 in the scientific journal Nature Neuroscience, learned two different musical sequences on a computer screen while watching moving circles that went along with them, similar to video games such as Guitar Hero and Dance Dance Revolution. After practicing for 25 minutes, the participants took a 90-minute nap. The researchers monitored the participants’ brain activity, and when they entered the “slow wave sleep stage” - a period of deep sleep with occasional intervening periods of REM sleep - the psychologists played one of the two sequences quietly. Before nap time, the participants performed equally on both sequences. The researchers purposely made the sequences difficult so practice would become important, and the subjects could potentially show improvement. When they woke up, participants were re-tested and performed better on the sequence that had been played during their nap. The researchers concluded the participants’ exposure to musical cues played during their slow wave sleep stage helped them make fewer errors when re-tested. Similar research has been conducted in the past, said James Antony, the lead author of the study. But this finding is new because it relates to perfecting a skill, rather than remembering learned information, he said. Previously in a Northwestern laboratory, subjects had participated in studies based on spatial memory, by placing objects on a screen in their proper locations. In the musical sequences’ case, that would mean “you could know the sequence but not be able to play it,” Antony said. That’s why the new study is important, he said, because it emphasizes the participants’ ability to perform what they learned. The study results also help explain the previously accepted idea that practice helped improve a skill, said Paul Reber, an associate professor of psychology at Northwestern and co-author of the study. Though this concept was acknowledged, researchers didn’t know exactly why practice made perfect, he said, but this study’s results show the process can be influenced even while sleeping. It is important to remember the study does not suggest someone can learn new information while sleeping, Reber said. But the process could be useful to help the brain “do a better job of remembering things that are really important,” he said. Though the researchers have not developed any tools to assist in memory based on these results, Reber said he has thought of a few potential applications of the information, including supplementing students’ learning of a new language by listening to an audio recording of previously introduced lecture notes while sleeping. Reinforcing information while sleeping? Sign us up. Sounds like this will at least be very useful to music majors. They already spend a ridiculous amount of time practicing. Maybe now they can get some sleep, too. Now if they could only find a way to learn physics or calculus or design programs or circuits while sleeping. Then those of us in engineering could get some sleep, too. If you read the article, it states that it's been proven that straight data can be learned in your sleep. Set up a book/cd on tape with all of the information, put headphones on while you sleep putting the information directly into your brain. It works. I doubt you'll be able to remember ALL the syntax for VB, but major concepts such as seen in calculus can be learned in such a manner. vb – funny you should say that. Back when I was in college there were a few calculus equations that I just could not figure out that I knew would be on the test the next day. I fell asleep studying and when I woke up I realized I had dreamed about the answer, and it was right! Mendeleev came up with an idea of Periodic Table of Elements while in his sleep. So idea of inventing or practicing in a sleep is not new at all. You're right, but having proven it, specific to learning an actual skill, is new. There's a lot to be said for a scientific study on something we are already fairly certain of. it gives us that "see we're right" opportunity. I highly doubt that hearing music while we sleep increases our ability to perform it while awake. There is no mention of a control where some subjects were asleep in silence, some were asleep in some unrelated noise, and some were asleep with the music being played and what the relative improvements of each group were. Just as we have all been taught, sometimes it is best to "sleep on it" to come up with the solution to a stressful situation. Repeated exposure to a given stimulus under stress causes the brain to retain more information, despite the subject's inability to make full use of it while still under stress prior to giving the brain rest. Once the brain is at rest, it recovers enough to complete the task subconsciously. Then, when the test is repeated, the subjects performed better due to the brain having adequately organized the information and solution while at a lower stress level. Also, I think a more thorough use of scientific method would also include a group where the music played when asleep would have contained a subtle mistake, and testing to see if participants who heard the mistake in their sleep performed worse, and if they duplicated the mistake. Those results would have been interesting. I'm in my 50s and my brother ,who is 1 1/2 years younger, use to play chess all the time as teens. We've gotten together many times sense then for a weekend, sometimes years apart, and he will usually win the first days games. But, once I get some sleep, the next day I'll be smoking him. I've notice this sort of thing many times about myself were it's something I know, but hadn't done in a long while. Some people's memory might benefit from a nights sleep more than others. Northwestern university 'researchers' with an astounding discovery! A 90-minute nap can help in learning a new skill! This is truly amazing being scientists worldwide have not discovesred this during the past several hundred years and more! Northwestern university 'researchers' discovery will be welcomed worldwide! Think I will try a 90-minute nap myself, surprise? myself with a new skill, maybe even see what musical tune I will remember! Where can I get a job thinking up projects like this? The great physic Edgar Cayce instructed people to put the book that you were studying under your pillow before sleep and..... sleep on it. I tried it and woke up with the worst headache I've ever had. It was a book by Madam Blavatsky. Has anyone tried lucid dreaming? It's being awake and aware in your sleep. Goggle it. I'd glad they acknowledge this kind of research isn't new, but I'm not sure I buy the premise this particular study deals with 'perfecting a particular skill'. In my opinion, only the shallowest of musicians in any genre would accept the notion of performing 'perfectly'. Many classical musicians, whom we imagine perform the same pieces year after year by rote, actually vary their performances dramatically over time. And I doubt any serious improvisor would regard anything they play as definitive, but rather a reflection of a particular moment in time. For myself, I improvise as well as play notated music and I've used different tricks over the years to memorize pieces. I'm sure it's nothing original, but combining physical practice with mental hearing and 'playback' to reenforce the material over time usually does the job. Visualization has its place, but you can't deny the motor and muscle-memory aspects of playing an instrument – particularly as you get older and more subject to injury from strain and misuse. The key to this test sounds like sleep. If people got more sleep when they are learning they would learn more and be able to show better results. My son when to a prestigious accelerated high school and I was appalled at the way they drove those kids. Sure, the kids were smart and it was important to challenge them, but when my son came home on the weekends completely exhausted because of the schedule, I complained. Classes began at 7:30 and often extended into the evening. They had mandatory study time until midnight, when suddenly the lights were turned off and kids were expected to drop into sleep. Unless they needed more time on their homework. Then they were encouraged to put in another hour, and often were asked to come to school at six or six-thirty for some one on one time with the teacher. My son averaged four hours of sleep per night and most kids averaged five. Imagine what those kids could do with their exceptional brains if they were allowed a real night's sleep on a consistent basis! I often practice with myself prior to falling asleep. It's most relaxing and satisfying. Hi Amira,I JUST discovered your blog via atehnor blog and I LOVE IT. I have two kids basically the ages of your two and OMG someone in this universe in going through what I'm going through! Your blog is hilarious and you hit the nail on the head time and time again. I'm applying for law school soon so I'm really interested in seeing how you balance everything. I'm clueless over here. OH and your babies are ADORABLE! There is something in Europe called 'hypnopaedia'. What do you think it is? You can learn foreign laguages much easier, as well as other subjects. When sleeping, the 30% of 'processing power' that the brain uses up for our vision (yes, that much!) is freed up and can be used for other purposes. It is like the CPU of our PC, mostly it's idle with just housekeeping stuff running! If this works for music in the general population, I would like to see some research into whether or not it could benefit alzheimer's patients. It is interesting that not only can you enhance your music skills by "sleeping on it," as it were, but you can also become more enlightened! I teach Dream Yoga, and one of the main practices of this enlightening discipline includes sleeping and dreaming. You learn to awaken in your night dreams, which can be translated into your daily life, so you can become more awake in the dream called life. There's definitely something in the subconscious that works wonders in music practice. It's rather interesting that if I practice a couple pages of very difficult music for 8 hours there is a lot of progress within the first 4 hours but the last 2 hours there is almost no improvement. However after a nights rest I will continue where I left off and within an hour the progress is off the charts with almost no effort. It seems to be a sort of vicious cycle. I do believe as long as your practice is deliberate and focused there is no amount of practice that is too much so long as you don't get sloppy and only use time wisely, it definitely shows the next day regardless, so long as you practiced. I am looking for some terrific blog sites for studying. I had been seeking over google and yahoo and located yuor web blog. Effectively i like your high quality blog site design and style plus your writing capabilities. Keep doing it.